Whilst the latest news out of Manchester Piccadilly is even worse! For as I write ALL of the trains have been cancelled replaced with hourly bus services due to a track defect. CANCELLED, CANCELLED, CANCELLED is the message that Britain's rail network passengers increasingly face. This from the country that invented the railways, now offering a substandard near third world unreliable rail services. 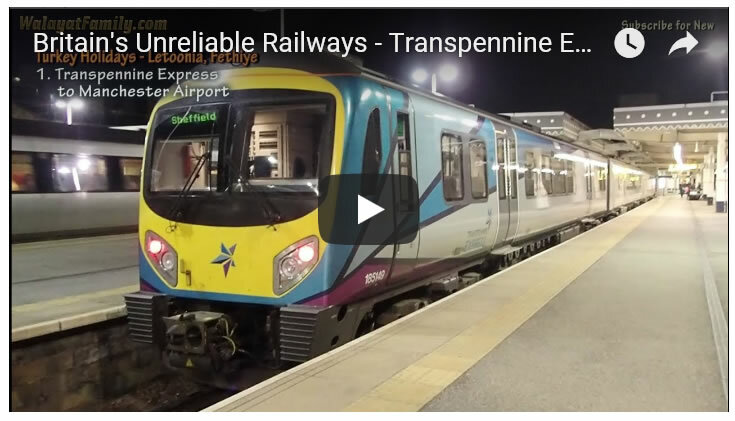 The bottom line is that Britain's railways are not reliable, so passengers need to allow enough time to reach their destinations through alternative transports, else suffer the consequences. And ensure to subscribe to our youtube channel for new videos in this travel to / holidaying in Turkey series.